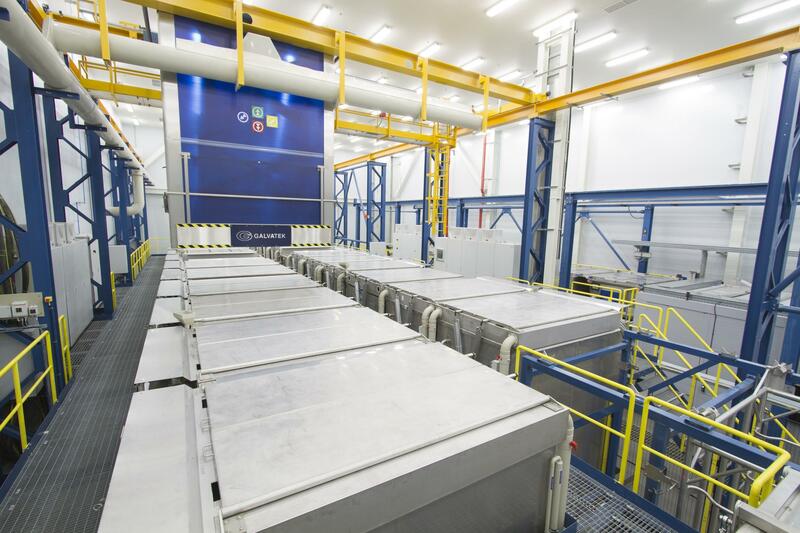 Galvatek’s chemical cleaning lines (CCL) for the aviation industry are designed to clean aero engine components prior to non-destructive testing (NDT) inspections. Chemical cleaning lines are typically used by maintenance, repair and overhaul (MRO) shops, but also by manufacturers of engine parts and components. Chemical cleaning lines are also used on a smaller scale for repairing auxiliary power units (APU). Chemical cleaning lines typically include a combination of different cleaning solutions: Aqueous degreasing; paint, varnish and coating stripping; alkaline and ultrasonic cleaning; rust and scale removal; and scale conditioning, rinsing and drying. 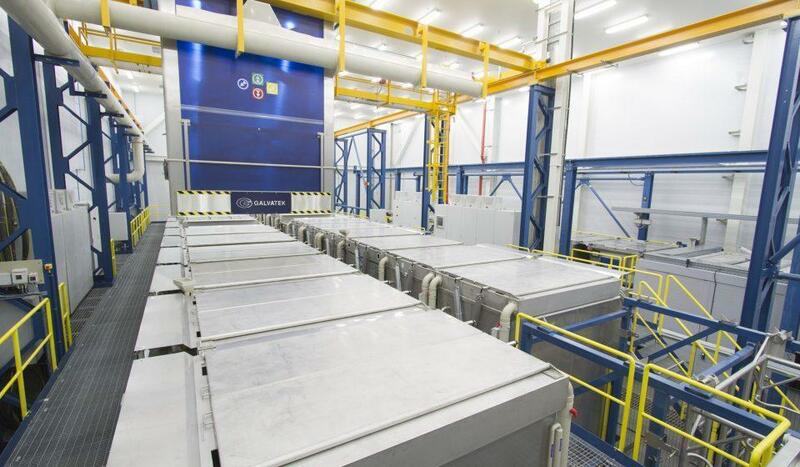 Jointly with customers Galvatek has developed new, effective, cost-saving and environmentally friendly technologies that meet the highest demands of the aviation industry. Galvatek has made major advances in automation and production traceability, as well as in reducing operating, water and quality costs. 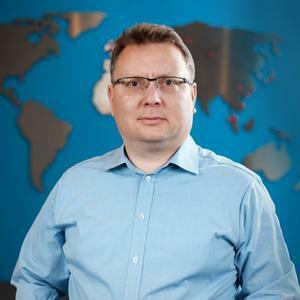 Galvatek’s solutions significantly improve the total profitability of MRO operations. Chemical cleaning line for aviation industry with multiple row of tanks and one transporter for all stations. Chemical cleaning line with 3D transporter, which allows extremely flexible production process. Chemical cleaning line with ventilated hood, Candovent process ventilation and walk-in spray booth. Parts cleaning is essential to many industrial processes, also in aviation MRO cleaning equipment, when preparing for non-destructive testing (NDT). The following coating phases are particularly sensitive to part cleanliness, since molecular layers of oil can prevent adhesion of the coating. Typical cleaning processes include aqueous cleaning, degreasing, alkaline cleaning, alkaline rust remover and acidic descaling, paint stripping and coating stripping. All of these chemical cleaning solutions are made possible by Galvatek Chemical Cleaning Plants. Galvatek plants are always scaled and designed according to the needs of the customer and the maximum product dimensions in the treatment process. The maximum length of tanks in chemical cleaning lines is typically 3 meters. The layout of the tanks is normally in 2-3 lines, depending on the amount needed for different processes. 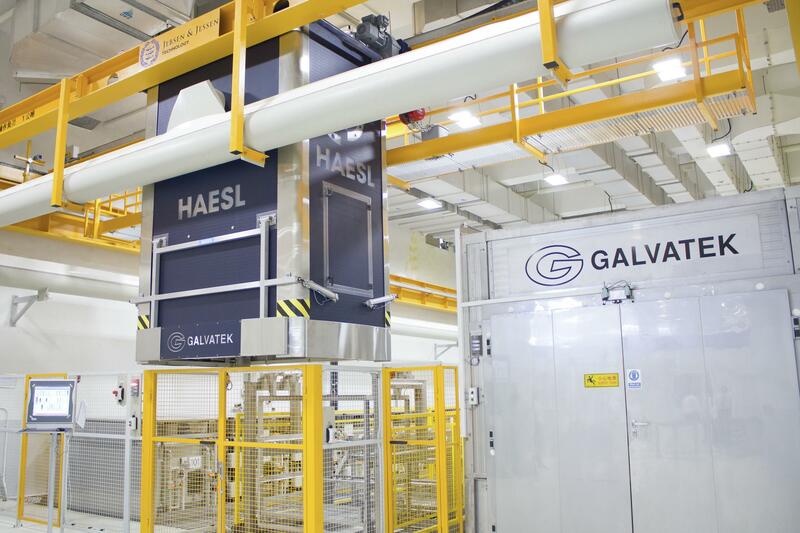 The use of floor space is optimised by using Galvatek’s 3-axis transporter and uniform rinsing process innovations. Galvatek’s 3D transporter, is used in multi row surface treatment plants. It does not move just up and down and back and forth but also sideways, which means that it can move flexibly between multiple rows of tanks. 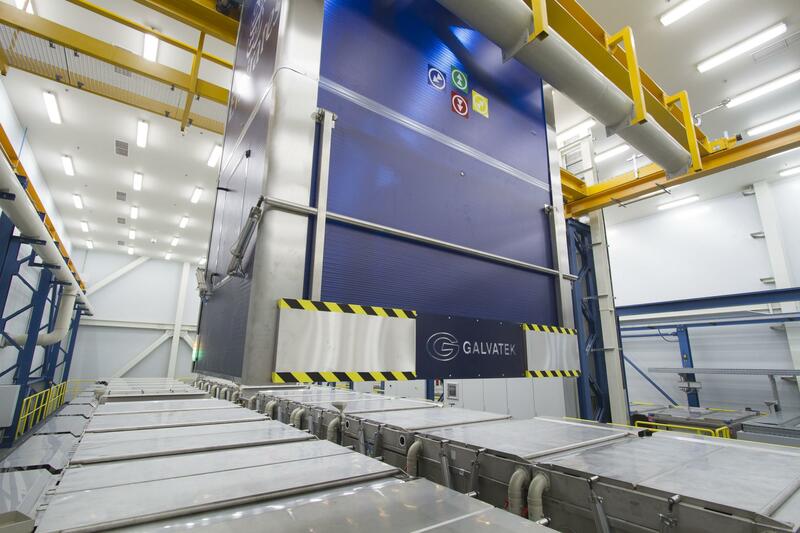 Galvatek's Galcont™ process automation system has been constantly developed and improved for already four decades to meet ever-increasing demands in surface treatment plant control. 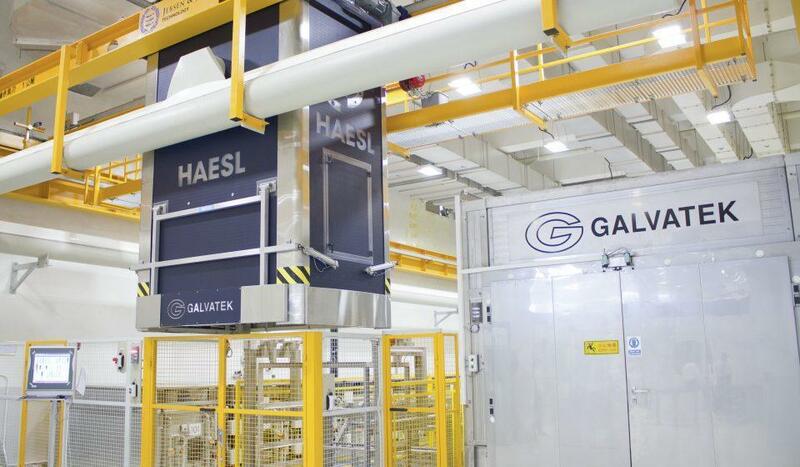 Galvatek’s Candovent™ ventilation system allows placing the surface treatment line anywhere in the production layout, without the need to build an encapsulated room around it. 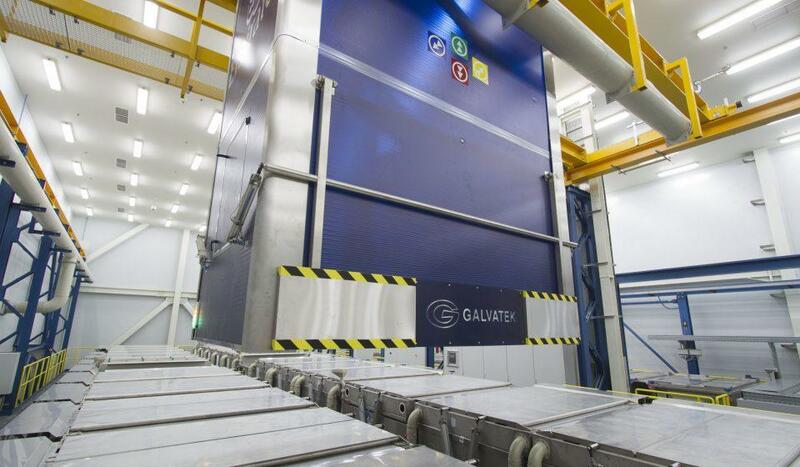 Every aspect of Galvatek plants has been optimized with energy efficiency and environmental friendliness in mind. Galvatek’s innovative spray rinse system improves rinsing quality while significantly lowering energy consumption and wastewater volumes. Process tanks have to be able to withstand many different types of chemicals like strong acids or alkaline. Durability and sustainability are emphasized in Galvatek's tanks.